Quiz: Are You Ethically Challenged? For some, ethics are black and white. For others, there are all kinds of grey areas. Perhaps you live by a strict moral code. Or maybe you just go on gut instinct. However you define your ethical standards, it’s important to perform your job with integrity. This means basing your decisions and actions on a consistent framework of values and principles. Do you have a commitment to integrity? Do you act with high ethical standards in the workplace? What guides you in your decision-making process? Take a few minutes to consider your ethics. Are you conducting yourself in a way that you can be proud of or are you slightly ethically challenged? Take this quiz and find out! *NOTE: This download is only available for members of the Free Career Resource Library. Read each situation and choose the answer that most closely represents what you would do. Write your answers down on a piece of paper. a) Sneak a peek at her confidential files to find out. After all, if she’s lying, you could save the company a lot of money by getting her fired. b) Discuss your concerns with your supervisor and let her handle the situation. c) Pretend you know nothing about it. It really isn’t your business anyway. a) Keep your promise but approach the person who has been harassing her. You let him know that you won’t stand for this and if he doesn’t stop, she’ll sue. b) Explain that you can’t keep your promise and report the issue to Human Resources to investigate. c) Provide her with personal support and keep your promise. a) Sign it. If your boss asks you, it must be fine. b) Ask someone with more knowledge to help explain the information in the report. Once you are comfortable with it, you’ll be happy to sign off. c) Tell your boss that you can’t sign it. If the document is valid, why can’t she sign it herself? a) Call in sick for a few days. They can’t argue with the flu. b) Tell your supervisor about the opportunity and ask if you can take unpaid leave. If not, you’ll just wait until next time. c) Tell your boss that there was a family emergency and you had to go to London. Hey, it’s half-true! This is the kind of opportunity doesn’t happen every day. a) Tell a little white lie. You need this sale. There’s no way you’re letting it go now. b) Explain the truth of the matter and offer solutions as best you can. c) Dodge the issue and try to be vague in your answer. There’s no sense in wasting all the time you’ve already spent with this customer. It’s time to re-evaluate your ethics, my friend. I know you might think you’re doing all the right things, but having integrity sometimes means doing the difficult things. You need to think carefully when facing delicate situations. At times you may be avoiding the ethical solution because it’s not as easy as the alternative. And let’s face it: Even a white lie is still a lie. Stop trying to fool yourself. If you aren’t careful, you could end up in serious trouble. Having “flexible” ethics is not a respected value in the professional world and you could easily get taken advantage of. Watch out and shape up. Congratulations! You appear to have high ethical standards. You know how to handle complicated situations and you’re not afraid of doing the right thing—no matter how difficult it is. You also seem to understand the value of professional integrity. Don’t let go of that! Others will respect you for it, and in the end you’ll have more success because of it. Newsflash: Ignoring ethical dilemmas doesn’t make them go away! Stop trying to avoid the issues—you aren’t fooling anyone. The excuse that “it’s not your business” doesn’t work, especially with important matters that have can serious consequences. You have a responsibility to your company, your co-workers, and your superiors to confront issues in a professional, ethical way. Turning your head when others are acting inappropriately is another way of condoning the behavior. You don’t have to shout your protest from the rooftops, but you do need to call attention to the problem. It isn’t up to you to fix it, but bringing a supervisor into the situation will help. And remember, there’s no justification for lying, especially in the workplace. Be careful with those little “oversights” and “fibs.” They may come back to haunt you. Quiz: Are You a Slacker? Every office has one: The slacker who seems to weasel his way out of anything that even remotely involves work. We pick up after him. We cover for him. In general, we all think he’s a waste of space. But, as I said, every office has one. What if—dare I say it—you’re that slacker? Could it be possible? It might be hard to admit, but maybe it’s time to take a good hard look at your own work habits. Take this quiz and see if you need to start picking up the pace. Read each statement and select an answer that best describes what you would do in the situation. You may not find one that describes you perfectly – so just choose the one that works best. a) Take a few long lunches, come in a bit late, leave a little early. It’s no big deal. That’s what people do when the boss is gone. b) Continue working as usual. You still have responsibilities and deadlines. Okay, maybe you take an extra coffee break here or there – but nothing over the top. c) Keep an eye on everyone in the office and make notes when your co-workers try to take advantage. Just because the cat’s away doesn’t mean the mice get to play. a) Plug your nose, grab your soda, and get outta there! b) Take about 10 minutes to get the place back in shape. Everyone has to pitch in with the common areas. c) Create a detailed cleaning schedule for the entire staff and send it out in an email detailing the unacceptable current state of the break room. a) Jump on the easiest one that will take the least amount of time. Hey, someone gets to do it. Why not you? b) Offer to do whatever is needed. It’s a group effort and you want to be actively involved. c) Make sure that everyone is doing their fair share. You don’t want to let others just skate by. a) Convince a co-worker to help out and leave perfectly on time as planned. b) Do what has to be done in order to complete your tasks. Next time, you’ll have to manage your time more effectively. c) Inquire with your boss about the workload of your co-workers. It doesn’t seem right that everything has landed on your desk. a) Block your calendar for a day in order to get it done. b) Stay late one evening so it doesn’t interfere with the work you need to do. c) Outline what needs to be done and delegate the job to the intern. Count the number of A’s, B’s and C’s that appear on your list. Okay, let’s look in the mirror, my friend. Do you see a slacker? That face you’re looking at? I hate to break it to you. That’s the face of a slacker. Once you’ve gotten over your initial shock, sit down and let’s talk. Being a “slacker” basically just means you’re not taking your job as seriously as you should. You’re doing the least amount of work and you’re sliding by. Maybe you’re doing just enough to survive, but you’re not thriving. Be honest: Are you pawning things off on others? Are you settling for just doing and not focusing on doing things to the best of your ability? Take a good, hard look and see what you can do to repair your damaged reputation. First off, try stepping up to the plate. Volunteer to take on the most challenging task in a group project. Offer to assist an overwhelmed co-worker. Be the first one to clean the break room when it’s needed. 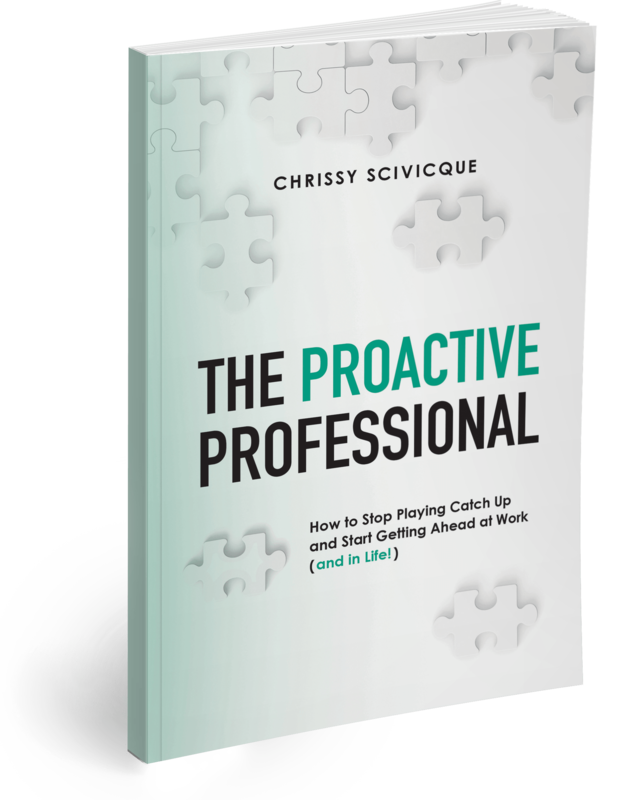 Learn how to be proactive. And, above all else, show that you’re ready and willing to put the effort in to do a good job. Come on; no more slacking! Congratulations! You’re definitely not a slacker. You take your job seriously and you always strive to do your best. You don’t appear to be a complete workaholic though. You know how to get things done but still kick back on occasion. That kind of balance will serve you well in the long run. Continue with the good work and remember to focus on yourself. Be a team player but don’t let others take advantage of your strong work ethic. Maintain the balance you’ve created by setting appropriate boundaries and remember to enjoy yourself! To tell you the truth, I have no idea if you’re a slacker. The reason? You’re too concerned about what everyone else is doing! It’s time to stop worrying about who isn’t doing their “fair share” and instead, focus on doing your job. Sure, you may work with a few slackers. But don’t waste your time fretting about it. In the end, these things always come around. Focus on yourself. Remember that you can’t control the actions of others. But you can control your own. A strong work ethic goes a long way. Keep in mind that if you’re a team player, your co-workers will typically step up and support you. If you’re trying to motivate the slackers on your team, start by looking at your own work habits. Quiz: Are You a Respectful Co-Worker? Your office is probably full of different personalities—some easier to get along with than others. No matter where you work, or what you do, respecting your co-workers is an essential part of being a high-quality professional. Your team is there to support and guide you. But if you don’t treat others with the respect they deserve, you’ll end up struggling all alone. Believe me – a little bit of respect goes a long way! You don’t have to be a pushover. You just need to be considerate and appreciative of those around you. Think about it: Would you want to work with yourself? If you’re not quite sure of the answer, take this quiz and see if you’re a respectful co-worker. 1. You’re having a hectic morning at home and you know you’re going to be late. Your co-workers will have to pick up the slack until you get there. a) You call as soon as you realize you’ll be late. You apologize sincerely and let them know when to expect you. b) In all the chaos, you forget to call, which you know has probably upset your co-workers. You decide to stop and pick up some donuts on the way in – who can stay mad when you’re arriving with treats? c) You know you’re co-workers are going to give you a hard time about being late so you don’t bother calling. When you arrive, you tell them every detail of your crazy morning – just so they know it was beyond your control. a) Make an effort to apologize to everyone directly, and then work especially hard to get the project completed quickly. b) Laugh it off – mistakes happen. It’s best to keep the mood light and positive. c) Explain how the mistake was not really your fault. Why should you take all the blame for this? a) Take a few minutes to tidy up and make sure you’re not contributing to the problem. b) Ask one of the interns clean it up – after all, they’re supposed to be learning all angles of business! a) Talk with her for a minute and then acknowledge that you are at work and not available to chat. You make arrangements to call her on your break. b) Whisper quietly at your desk. Your co-workers will never know. c) Chat as long as your sister needs. This is family after all. Your co-workers should understand. a) Acknowledge that you know she is stressed and let it go. b) Wait for her to apologize – snapping at you was uncalled for. c) Snap right back. Sure, she’s stressed. But that doesn’t mean she can take it out on you! Count the number of A’s, B’s and C’s on your list. Congratulations! You seem to have struck a nice balance at work. You’re respectful, without being a pushover. You offer assistance when needed and pull your weight. You’re able to admit mistakes and move on. You’re considerate of your co-workers’ time and their feelings. 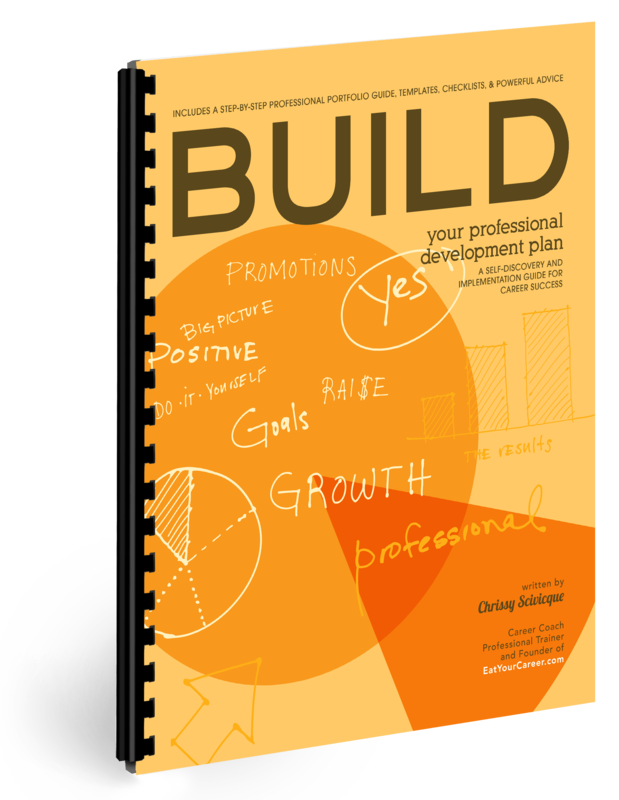 The relationships you are building will serve you well in your professional career. Keep up the good work! Unfortunately, you might think you’re a respectful co-worker, but I have some bad news: You’re not. You probably have some good intentions but you’re just not hitting the right note. In fact, you might not be taking it as seriously as you should. Remember that your co-workers are not your buddies. This is a professional relationship, not a friendship. You need to consider the feelings of your co-workers before you make decisions. Treat them as equals – this doesn’t mean you have to let them walk on you. You can be respectful and strong at the same time. It’s a delicate balance, but one that can be achieved by taking a step back and considering their points-of-view. You probably know the results already: You’re not a respectful co-worker. This can’t be a surprise to you. From your answers above, we can guess that you don’t often consider the time or feelings of your co-workers. You simply do what you want to and you fail to take responsibility for your own actions. Perhaps you think this makes you assertive. Maybe it makes you feel powerful to be disrespectful. Unfortunately, you’re only hurting yourself. No one wants to hear your excuses. Respect is all about teamwork and communication. Take a step back and focus on your skills in these areas. Are you really putting your best foot forward? Quiz: Are You a Workplace Bully? Sometimes, the office can feel like high school. There are all kinds of cliques and gossip. Occasionally, you even run into a workplace bully—someone who constantly criticizes, aggressively points out mistakes, and refuses to be part of your team. Of course, dealing with a bully in the office can be a real challenge. But what if you’re the one doing the bullying? Maybe you don’t even realize how devastating your words and actions can be for others. Sure, it’s important to stand up for yourself and be assertive, but you still have to be respectful and professional and well…nice. It’s time for a little self-evaluation. Take this quiz to see if you’re being a bully in the workplace. a) Say she’s doing fine. You don’t want to be responsible for her getting fired. And if she doesn’t improve, your boss will figure it out soon enough. b) Honestly let your boss know that she’s made some mistakes but that you think she’ll get the hang of it eventually. c) Tell your boss (and anyone else who will listen) that the new girl is incompetent and should be let go. Why hide your true feelings? It’s only going to hurt the company to keep her around. a) Attempt to improve the relationship by doing all the work yourself. b) Try to put your personal feelings aside and be professional. c) Refuse to work with this person and request to be assigned to a different project. a) Recommend him for a promotion so he can move to a different department. b) Put your personal feelings aside and act professionally. c) Start piling work on, hoping he’ll get frustrated and quit. a) Agree to help, regardless of the time issue. You’ve always had trouble saying “no” to those in need. b) Offer your co-worker a book you have that might help. You let him know that you’re too busy to go over it at the moment, but when you have some free time in the future you’ll be happy to assist. c) Explain to your co-worker that you’re not a trainer and recommend that he go to a class if he’s having that much trouble. a) Carefully listen to the various ideas. You’ve contributed yours and, if no one jumps on it, there’s nothing you can do. b) Lead the group in organizing an anonymous vote. Whether or not your idea wins, a decision has to be made. c) Stand up and announce that you’ve made the decision to go with your theme idea. There’s no point in arguing. You’re the leader so you have final say. Well, the good news is this: You’re not a bully. In fact, you’re the opposite of a bully. You’re a pushover. You hate confrontation so much; it seems you’re willing to let people walk on you instead of standing up for yourself. Remember that you have to show strength in the workplace – that doesn’t mean you can’t also be nice. But you have to look out for yourself. Don’t be so worried about what people think of you. You’ll encounter different types of personalities at the office, and you won’t always get along with everyone. You can still work well together however, by being respectful, honest and professional. Next time you’re tempted to roll over and play dead, try standing up for yourself. Say “no” once in a while. Fight for your ideas to be heard. Be professional, but strong. Congratulations! You seem to have a nice balance in the workplace. You’re respectful, but strong. You’re not afraid to voice your opinions, make tough decisions, and confront difficult issues honestly and professionally. You’ve got a tough backbone but people likely admire that. You don’t go out of your way to push others around, and you don’t let others bully you either. Keep up the good work! Okay—simmer down, my friend. I have some bad news for you: You are (drum roll, please) a workplace bully! There’s no doubt about it. Perhaps you get some kind of enjoyment from pushing people around. Or maybe you just think you’re being efficient. Unfortunately, your cold approach may come off as rude or intimidating. I know you probably have the best interest of the company in mind. However, you need to remember that most of your co-workers do as well. You aren’t always going to agree, so you’ll need to learn to make compromises. And remember: Your co-workers aren’t mind readers. If you need to address an issue, try using some tactful communication. This will be much more effective and your working relationships will be much more pleasant. Quiz: Are You Change Resistant? Ah, change: That mixture of glorious opportunity and crushing chaos. How do you deal with change? Do you kick and scream or do you roll with the punches? Find out which end of the spectrum you land on when it comes to handling the inevitable changes of life. There are some people in this world who simply don’t handle change very well. They prefer stability and routine. These people would rather know what to expect than deal with the potential chaos that change brings. Of course, there are others who simply love the excitement of change. They find it stimulating and freeing. These people enjoy the new pace and they recognize that chaos is part of the fun. So, what kind of person are you? Not quite sure? Take this quiz and see. Go through each question as quickly as possible. Don’t put a lot of thought into the answer; just pick the first one that rings true. Make note of your answers on a piece of paper. b) Is intriguing – so many possibilities! Now, add up your answers. You “get” change and you like it! That’s because you don’t fight it; you simply understand that it’s a part of life. You see change for what it is: Opportunity. You’ve got a good handle on what it takes to get through turbulent times and your attitude will only help you along the way. When life throws you a curve ball, you think fast and reach for it. Keep up the great work. I once read an interesting statistic about how work effects overall life happiness. It basically said that a good job won’t make you happy, but a bad job will make you unhappy. I think this says a lot about how we view jobs. If we hate our work, that frustration and annoyance rules our lives. If we like it, it sometimes goes unnoticed. Think about all the people who quit their jobs thinking that it’s just work that’s bringing them down – only to find that they’re just as unhappy in another job. It’s so easy to blame work for our unhappiness. When we’re feeling down or just having a bad day, we automatically blame it on work because that seems to be the most common source of frustration in the world. Sometimes, job satisfaction is taken for granted. Maybe we’re a lot more satisfied than we think we are…Take the following quiz to find out how happy you are with your job. Consider the list of statements below. Rate yourself according to the instructions. When you’re done, add up your scores and see how satisfied you are with your job and career. Perhaps this will help you sort out a bad day from a bad job. And maybe, this will help you recognize that you’re more satisfied than you gave yourself credit for. On the other hand, this might make you realize that it’s time for a job change! 1. I like the people I work with. 2. I feel respected by my boss. 3. I feel respected by my co-workers. 4. I feel like a valuable, contributing member of the team. 5. I enjoy the work I do. 6. I find my work challenging but not overwhelming. 7. I feel satisfied at the end of the day. 8. I may not be excited to go to work, but I don’t dread it. 9. I find my office environment pleasant. 10. I feel generally satisfied with my pay – I believe it is fair and adequate. 11. I believe I have growth opportunities that meet my professional desires. 12. I am supported and encouraged to learn new skills. 13. My work is stressful at times but manageable. Congratulations! It sounds like your job is a keeper. While things may not be rosy every day of the week, in general you experience all of the wonderful elements of a good job: challenge, respect, satisfaction and opportunity. When you’re feeling down or having a bad day, let it roll off your back – your job is most likely not to blame for long-term unhappiness. Continue to pursue professional and personal challenges that will provide further enjoyment of life. You’re not doing too badly, my friend. While there are definitely some areas you could improve, overall you answered “most of the time” or “sometimes” to the majority of these questions. Here’s the good news: You have a great opportunity to improve your work situation by going through this list and looking at the items you answered “sometimes” or “never” to. These are the areas to focus some serious attention on. Perhaps if you improve some of your work relationships, seek new challenges or inquire about growth opportunities you’ll find your job satisfaction increase dramatically. Remember that job happiness is dependent on four main elements: challenge, respect, satisfaction and opportunity. Overall, your job has the potential to be a truly satisfying experience. It might take some work but it’s possible. Things aren’t going so well, are they? You answered “sometimes” or “never” quite a bit in this test. That’s not a good sign. Take a look at the areas where you answered “never” and try to understand why the problem has occurred. Is there anything you can do to change it? Perhaps a minor adjustment in one area of the job would have a significant impact on your entire experience. Consider the four main elements of job happiness: challenge, respect, satisfaction and opportunity. Where is yours lacking the most? Take some time to really consider what is going on and why. Take an honest look at yourself as well. Make an effort to improve the situation as best you can but don’t be afraid to face the facts: This job may not be the right fit. And remember, a job that doesn’t work for you, works against you. You may be feeling down and it’s no surprise! You answered “never” and “sometimes” quite a bit in this test. Your job happiness level is low, but then, you probably already know that. Take a good hard look at what your job does offer you. Are you just going through the motions, collecting a paycheck and waiting for the weekend? If so, it’s time to realize that this is not the ONLY way. You can find a job you enjoy. Perhaps, you can even turn this one around. Give it a shot – you have nothing to lose at this point. Evaluate the four elements of job happiness: challenge, respect, satisfaction and opportunity. Ask yourself what you’re missing in each category. Are these things you can control? You might need to enlist the help of your boss or another superior or co-worker. Now is the time to make some improvements! If you put your best foot forward and nothing changes, take a good look at what you want in life. Remember that a bad job can and will make you unhappy in other areas of your life. Don’t be a victim. Start planning and when the time is right, get out there and make things better. Get a new job, learn some new skills, do whatever it takes. But don’t let yourself wither away in a job where you answer “never” to many of the questions above.